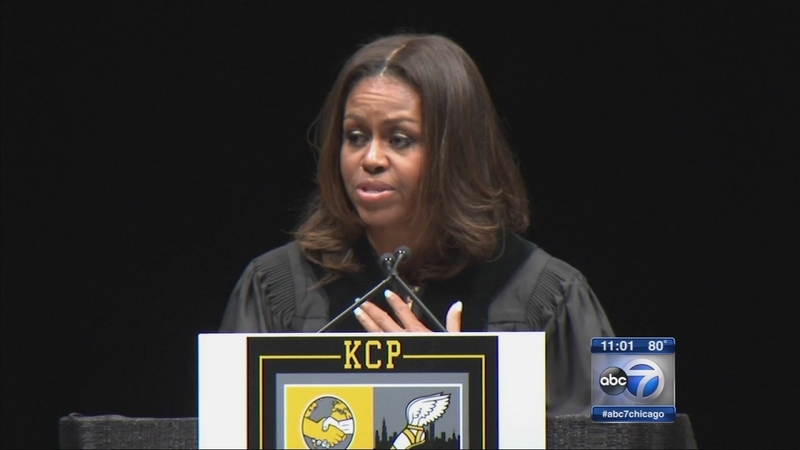 CHICAGO (WLS) -- FLOTUS wants you to go to college "unless you wanna stare at grass." First lady Michelle Obama raps in a new College Humor video featuring Saturday Night Live star Jay Pharoah as the pair extol the virtues of college. In the video, the First Lady and Pharoah are appealing to two undecided high school students played by Morgan Meadows and Mahlon Raoufi, who together with the SNL alumni find themselves on the White House lawn. Pharoah then appears to join FLOTUS inside the presidential home to continue rapping about college and Obama's time studying in the South Side of Chicago. The video is part of the first lady's Better Make Room initiative announced in October, of which College Humor is a partner.